LIFE AFTER BETH, starring Aubrey Plaza and Dane DeHaan, will entertain zom-com fans and provide an easy-to-watch intro for genre neophytes. 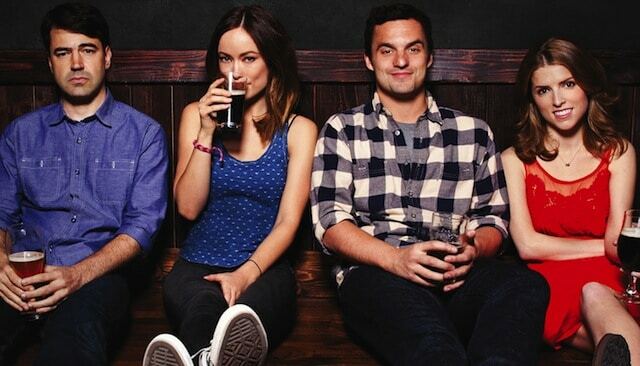 In an exclusive interview with DRINKING BUDDIES star Jake Johnson, we talk about developing chemistry, full improv, and more. Drinking Buddies is part of new modern rom-com that ditches the tropes in hopes of making a great comedy about romance, not a romantic comedy. Anna Kendrick: Accidental Pop Star? Anna Kendrick is one of the most talented young actresses working today. While she’s known for her acting talent, she may just be an accidental pop star thanks to Pitch Perfect.